If you want custom patio screens for your home or business in Raleigh, North Carolina, or a nearby area, look no further than Stoett Screens. 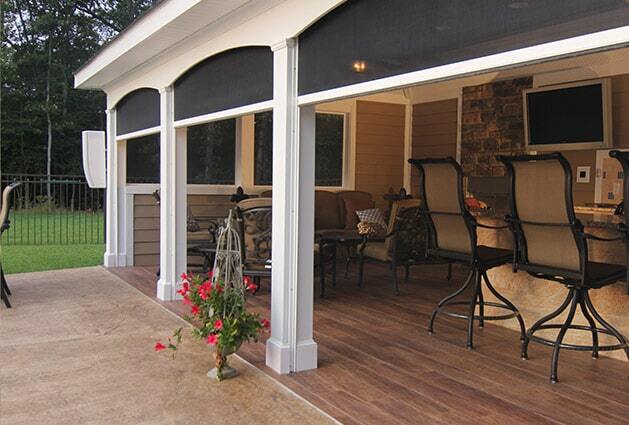 We manufacture beautiful, functional retractable screens that are sure to impress. Our porch screens can turn your patio area into your very own outdoor oasis – a private retreat that will be the perfect place for entertaining and relaxing. And whether your priority is shade, bug protection, privacy, or aesthetics and design, rest assured that Stoett Screens will work with you closely to create the ideal patio screening system that meets your needs. Durability – Your new patio screens will be manufactured with Tough Super Screen™ mesh that will stand up against damage from impacts and inclement weather, making them exceptionally long lasting. We also make a clear vinyl insert that is equally as durable. Custom sizing – Your patio screens will be custom made precisely to fit the dimensions of your unique porch so you can expect them to fit perfectly when they are installed. Added peace of mind – Your new screens will come backed by a lifetime warranty, so you can rest assured your investment will remain protected. And these benefits aren’t exclusive to our patio screens – they extend to the other exceptional screen products that we manufacture, too. 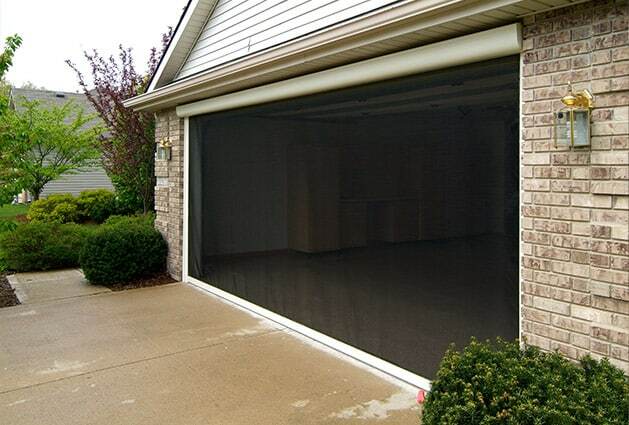 These products allow us to create the perfect screen solution for many other areas around your home or business, including entryways, out-swing doors, garage doors, and more. In short, at Stoett Screens, if you can dream it, we can make it. If you would like to learn more about the patio screens that we manufacture for homeowners and business owners in Raleigh, NC, and surrounding communities, contact Stoett Screens today. Our specialists are available to answer any questions you have and can tell you more about the products we offer.